Why do cats climb trees? Well, they do so for several reasons. It’s easier to see what’s going on in the neighborhood sitting high in a tree. 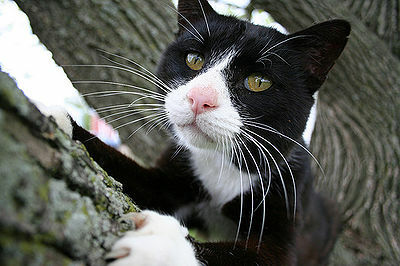 Cats will climb trees to escape from predators like the neighbor’s dog. Being predators themselves, they also have a better view of any prey nearby. Sometimes that prey just happens to be in the tree, which can be why they climbed up in the first place. Wild cats also climb trees to find a resting place away from predators. While climbing trees (or your favorite piece of furniture) is good exercise for your cat, she may find the situation frightening when it comes to getting down. 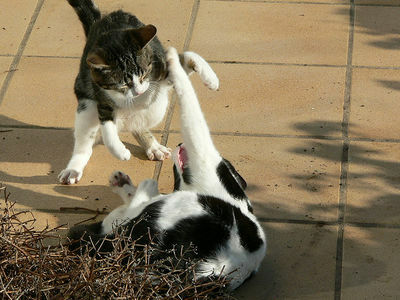 Indoors the answer is simple – purchase a cat scratching post and encourage your cat to use that instead of your sofa. 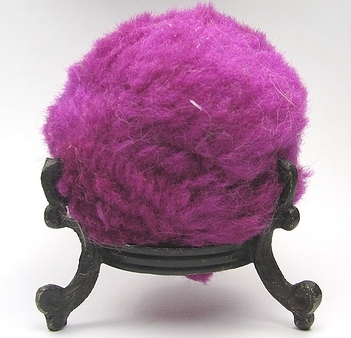 They come in all shapes, sizes and colors to match your decor. Outdoors is a different matter. 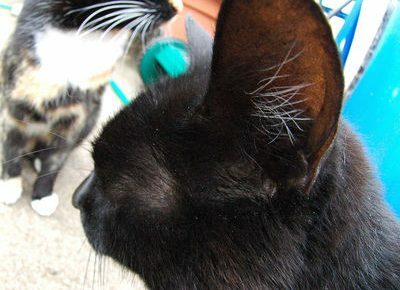 Cats claws curve inward, so climbing down head first doesn’t allow them the necessary grip. They often are fearful enough that they just take a chance and jump down. Some cats are clever enough to realize early on that they can climb down the tree by going tail first which allows them the proper grip. Eventually they all discover this trick. However, if the cat is injured, it will need help getting down; or if you the owner panic or can’t bear to hear the cries of your kitty. Then it’s time to call out the cavalry – your local animal rescue or the fire department will come to kitty’s (and your) aid. On a personal note: I have a large tree on my patio. Since I’m not sure of my dogs’ reaction to the feral cats I feed (although the dogs try to be friendly through the gate), there’s a fence that separates them. But sometimes a cat climbs the fence and if the dogs are outside, will make a mad dash to the tree, climbing high up. I then call the dogs indoors while I go outside. In the past I’ve tried calling to the cat which of course doesn’t work. But if I go indoors and leave the cat to its own devices, it doesn’t take long for him/her to make it’s own descent to solid ground. Then, at least for a while, the cat will stay on his/her side of the fence. Another trick that can help encourage a cat to get down, and has worked for me, is placing an open can of tuna or salmon next to the tree. What cat can resist the smell of fish.